"May you ascend towards the unfathomable light (Supreme God) and never descend into utter darkness (Maya)." This is one of the rarest festivals of India, which is always celebrated on the same day every year, January 14. Jagadguru Shri Kripalu Ji Maharaj, who is the embodiment of the unlimited light of knowledge, was honored with the rare title of Jagadguru on this day in 1957. The word Jagadguru is the combination of two Sanskrit words jagad (universe) and guru (spiritual master or guide). Hence Jagadguru means the spiritual mentor of the entire world. From this point of view and also according to the scriptures, there was, is, and will be only one Jagadguru: Shri Krishna. Then from where did the tradition of 5 mool or original Jagadgurus including the present saint Jagadguru Shri Kripalu Ji Maharaj come into being? In Kaliyug when the impostors, who are not acquainted even with the names and count of Veda – Shastra, acquired the posts of high spiritual prestige and started duping hundreds of thousands of people by reciting a mantra in people’s ear thus making those innocent people their disciples and misleading them. This posed a need to stop this malpractice. This was instituted to help aspirants of God realization distinguish that person from impostors. Thereby, without any doubt, aspirants could approach that scholar, to gain undisputed and accurate knowledge of the Vedas and other scriptures. This tradition commenced 3000 years ago. The first Jagadguru title was conferred upon Jagadguru Shankaracharya in 8th Century BC. Although, there is no depiction of Jagadguru title in the Vedas, yet in modern age of Kaliyug it is the only way to provide an authentic and indisputable spiritual master to the innocent and inquisitive souls. 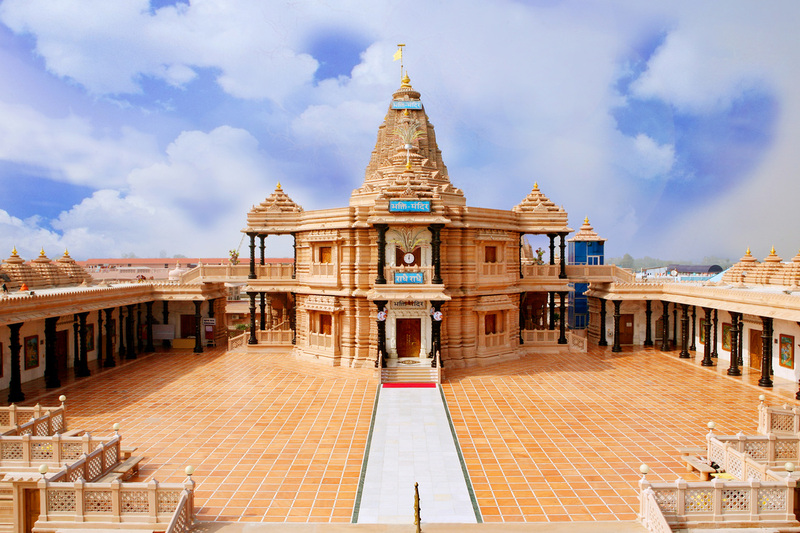 In 1957, Shri Maharaj Ji was honored with this title at the age of 35 in the presence of 500 contemporary scholars. Shri Maharaj Ji was given a time of 10 days to present his knowledge. Based on the content of his discourses, selected scholars were supposed to debate (Shastrarth) with him. But, by the 5th day of his discourse, he had already spellbound all the scholars with his incredible memory of the Vedic scriptures and an extraordinary power of reconciliation of all the seemingly contradictory philosophies. On the seventh day, without any debate, he was declared as Fifth Original Jagadguru in tradition of Jagadgurus. We celebrate this auspicious day with great devotion, love and pomp and call it Jagadguru Diwas. My good wishes, on this day, to all devotees of Shri Radha, Shri Krishna and Shri Maharaj Ji.